There are so many ways to build a list and it’s actually a lot simpler than a lot of people make it. I’m definitely not saying DON’T do these things, of course. My e-course conversion rates are great. But, I think people underestimate the value of simple printables. Or maybe, they just don’t know the best way to get people to opt-in to them. 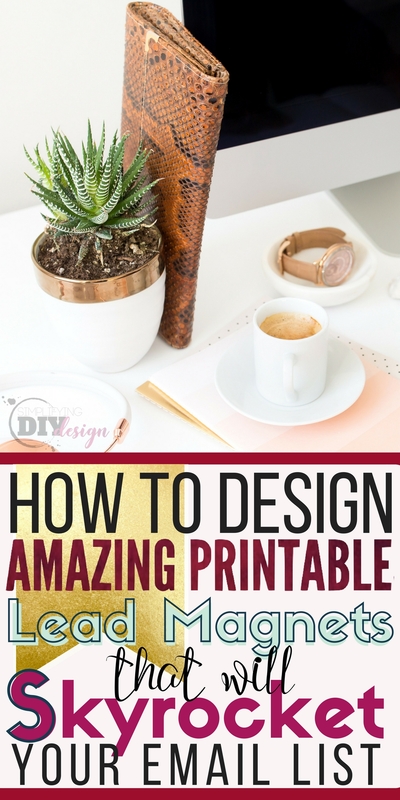 First, let’s talk about the different types of printables. Your printable freebie should offer your reader value (that you haven’t already given away in the blog post). I think this is where people go wrong. They make a printable with only the info in the blog post, which your reader just read for free. Some people may opt-in because the post is a great resource and they would love to have a quick reference (like a checklist) that they can reuse. An example of this would be blog post checklists or webinar checklists that the reader can laminate and reuse. But the printable lead magnets should generally contain new info that you are NOT giving up on the blog post itself. These are your best-kept secrets but instead of charging money for them, all you want is an email address in return. Side note: Here’s a list of 17 awesome content upgrades that keep your reader coming back for more! A lot of people aren’t willing to spend too much money on a printable, but they ARE willing to give up their email for a resource that makes their life easier. And once they are on your email list, you can monetize with tripwires, upsells, and non-salesy promotions. SO remember, just because you are giving something away for free doesn’t mean you won’t make money from it! Not only can these printables be a good resource, but they can offer motivation and help your reader turn your theories into actionable advice. 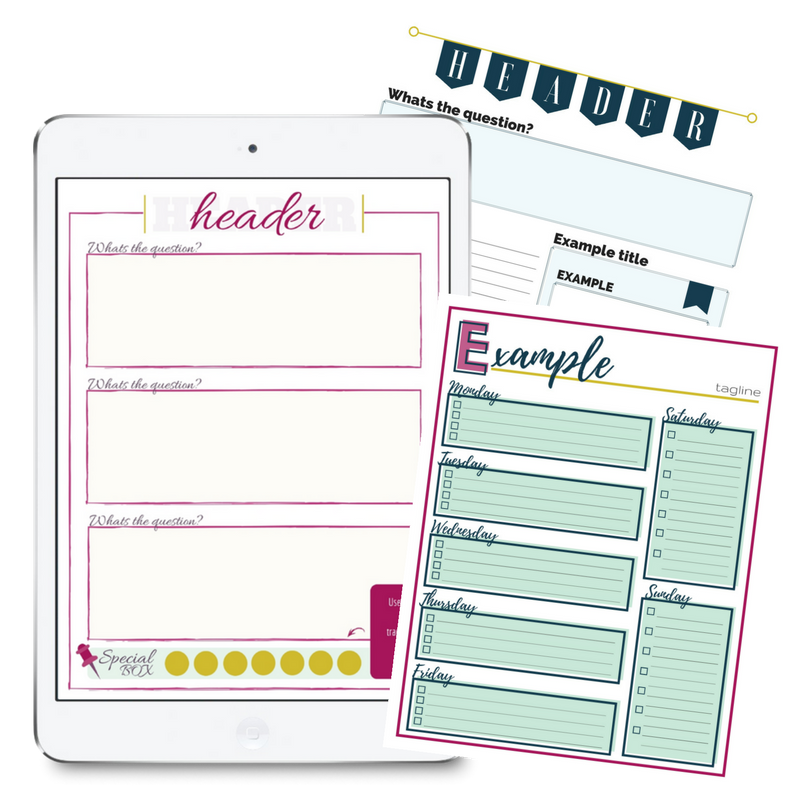 Learn how to make a killer printable with our FREE worksheet templates, created just for you! You want your reader to take action. Free printables will help them do that. I’m not going to give away all her secrets, but I will talk a little about resource libraries. I have done resource libraries right (thanks to the course) and I have done them very wrong. And most of the libraries I’ve seen are done wrong. Make one form and stick it in your sidebar and expect it to convert. Have a resource in your library and then never tell anyone about it or promote it. Give your readers what they really want, and don’t give away everything in your blog posts. They need to actually opt-in to get your secrets. 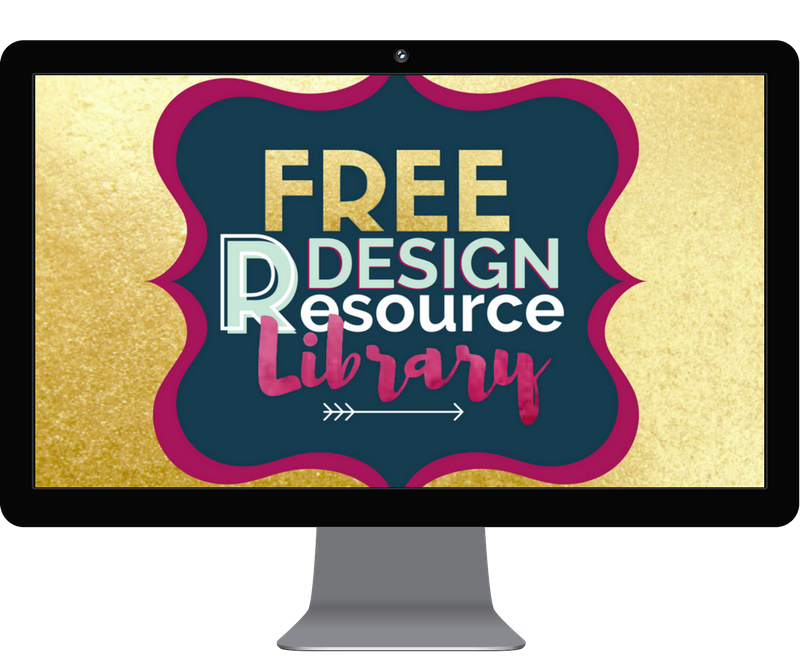 Tell your readers about the freebies you have in your library! Promote it on social media, blog, newsletter, etc. If you decide to make a resource library, seriously consider taking List Love. The creator, Jennifer, knows the EXACT right way to make a library that will actually convert. Seriously! She gets like 150+ opt-ins DAILY! I have never seen her method anywhere else and she walks you through it step by step. 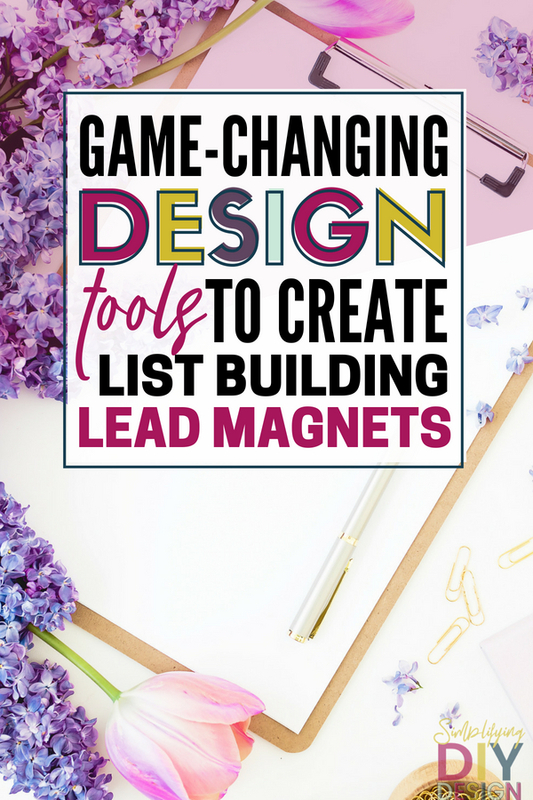 If you decide not to make a resource library, you can still grow your list with printable lead magnets. For each blog post (or at least, most blog posts) make a printable resource. You can even make a printable first, and create the blog post around it. Then, make a new form and sequence (for Convertkit users) and add it to the blog post as a content upgrade. Next, let’s talk about how to make a printable lead magnet, along with how to deliver it. I use Canva. While I’m trained and fluent in Adobe products, I love the simplicity of Canva. Seriously, I could make something equally as awesome in half the amount of time it would take me in Illustrator. Even though I’ve been using Illustrator for 13 years. When I started blogging, I hadn’t done anything with graphic design in a few years. My Adobe Suite was old and wouldn’t work on my computer (yep, so old that it was actual discs, not “cloud” based). I got the free trial and started working on some products but then my trial ended and I went to buy and my heart sunk. We were struggling financially and I was trying to work from home. I wanted so badly to make “working from home” work so that I could be a stay at home mom. I couldn’t afford the price, especially now that it was recurring monthly charges! So I looked all over the internet for some kind of free solution. And then I found Canva. I started designing and I had a BIG blogger find my site and ask me if I did my graphics myself and if I did, would I do them for her. I let her know I didn’t have any fancy programs, only Canva. She didn’t care. I started making money doing graphic design and upgraded to Canva for Work. At this point, I probably could have afforded adobe but I was rocking Canva and had no reason to switch it up. With Canva at Work (and some of my creative tricks), I could do pretty much everything Adobe could do for much cheaper and faster. Time is money, my friend. I urge you to use Canva at Work, if you can’t afford the $12/month, just start with the free version. As soon as you’re making at least $12/month in your business, upgrade. It’s worth every penny and has been my greatest return on investment other than Convertkit . Lead magnets and printables are a must-have for blogging (in my opinion). They help you grow your email list, nurture your current subscribers, and you can also turn them into digital products to help you monetize your blog. Win-win-win, right? So what happens when you just simply struggle with design (or don’t have time to try to figure it out). A lead magnet shouldn’t take an hour to create, which is why I think templates are the holy grail of design-for-blogger-hacks. You can actually find a pack of TEN lead magnet canva templates in my design library (get access to the library at the end of this post). My templates are professionally designed and give you a great jumping off point to start from. Simply add your content and adjust the colors and fonts to match your brand. You can also learn more about how templates can grow your blog here. The next tool I use is Thrive. I use Thrive to make all my opt-in forms and all my landing pages. It connects with Convertkit and I just pick which sequence I want my reader to be added to.CI tried to just use the forms and landing pages that came with Convertkit and while I really do love Convertkit, their forms are just not pretty enough for me! Design is a big part of blogging now. Basic looking websites and products might’ve been ok 10 years ago when blogging wasn’t so big. But now there are literally millions of bloggers all fighting for attention and if your stuff doesn’t stand out, then it’s going to be a lot harder to succeed. “Pinterest pretty” is so important. Thrive helps me accomplish my Pinterest pretty forms and pages. I waited awhile to make the jump to Convertkit, but I’m glad I did. I love being able to tag and segment my readers based on what freebies they opt in for. The only problem with Convertkit is that they are expensive. If you are looking for a cheaper option, I highly suggest ActiveCampaign. They have most of the same features, they are easy to use, and they are about half the cost. Either way, you need some kind of email service that delivers your freebie. Set up the first email of your welcome sequence to be delivered immediately when your reader subscribes. The email will have a link to download your freebie. This is the best way to avoid people putting in fake email addresses to get your freebie. You probably heard me mention this a couple times by now, let me elaborate. 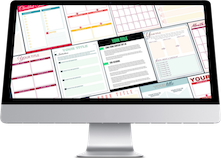 You can skyrocket your email list by offering awesome printable resources. But, if you’re throwing everyone into one big pot it can be hard to monetize that list, especially if you blog about different topics. If you tag your reader when they opt in for a specific freebie, you can tailor your content or promote certain affiliates or products to that reader. In Convertkit, you just add an automation. When the reader subscribes to a form, they subscribe to a sequence and they get a tag. You can have as many tags as you want. 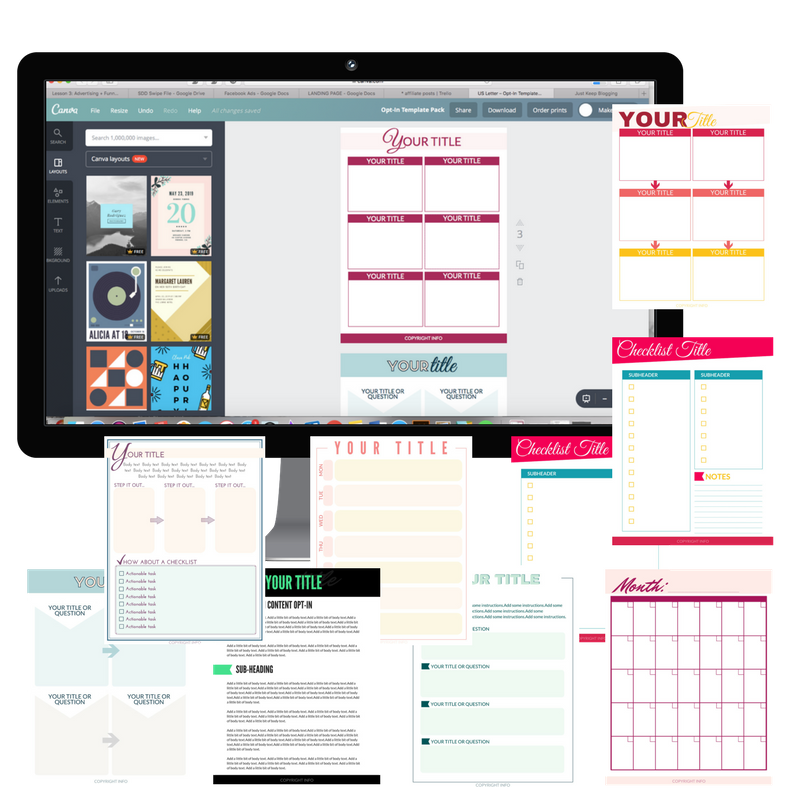 Then, when you want to tell your readers about an awesome meal planning program, you can promote it to the people that opted in for your printable meal planner and you will be amazed at the conversion. Not only will those people likely buy, but you also don’t have to worry about “bugging” the rest of your list with a product that they aren’t interested in. You will see click-through go up, and unsubscribes go down. Engagement will also increase because people will feel like you are really talking to them. With the right tools, and a little creativity you can make some awesome stuff that your readers are just dying for. Are there limitations to Canva? Sure. That’s why I have so many tools and tricks in our design library. I use these tools myself to make my job a little easier. 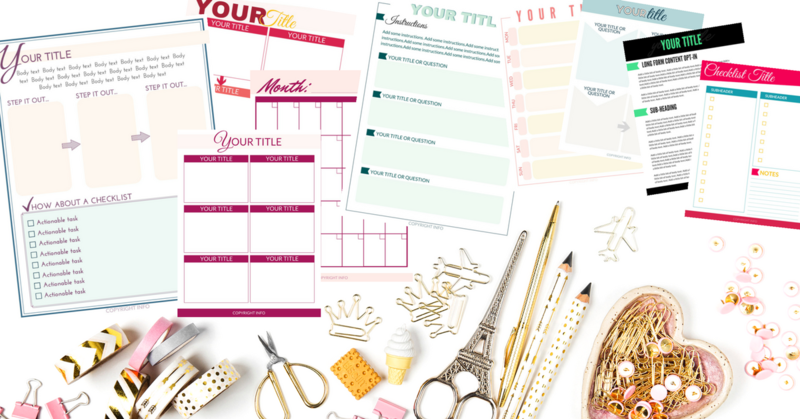 At the end of the day, it’s just faster for me to use the templates I’ve created for my brand and my other design tricks– time matters when you got two little ones! But again, Canva has been my biggest return on investment. I have been able to grow an amazing email list quickly, I am able to nurture my list and increase click-through with freebies. And even more importantly, I’m able to make products for next to nothing and sell them for recurring passive income. Not only does this help me afford to stay home with my kiddos but I’ve also been able to redecorate my living room (yassssss!) and most importantly, reinvest in my business to help it grow. So what’s your next step? Get the FREE Canva Templates now! !